The New Year is upon us and this is the time when it’s natural to look at every facet of our lives and assess whether there are things we want to change, improve or maintain. On many aspects, we’re the personal experts, after all we know ourselves best. In other areas, it helps to get advice from a colleague or a friend who may not only have a wealth of experience, but also an external perspective from what we see and deal with first hand on a daily basis. 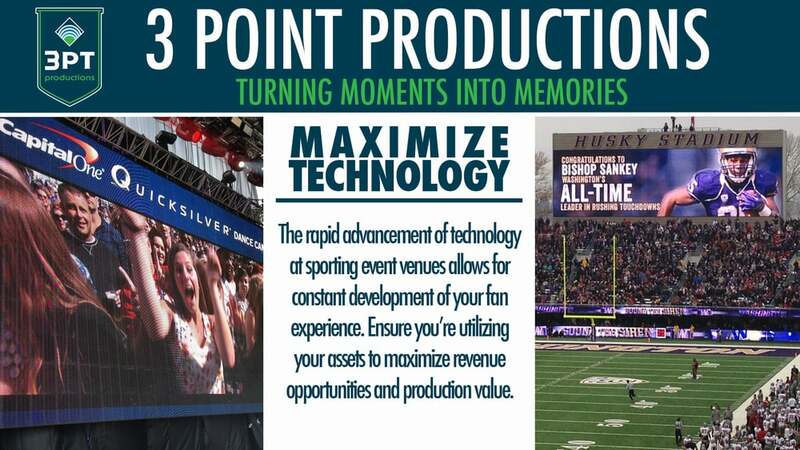 As is the case with your personal life, the same can be said for your professional arena…and at 3 Point Productions, we literally mean arena (or stadium). An area of focus within our consulting services is the Game Day Experience Assessment, where we work with collegiate athletic departments to evaluate their game day experience through the specific filters of Game Day Production, Traditions & Performance Assets, and Sponsorship & Revenue Opportunities. The feedback that we commonly receive from marketing leads at the universities is that it provides them with an expert set of eyes that can identify strengths, challenges, areas of opportunity and make best practice recommendations. The process provides them with a group who looks at their approach through a new lens, often offering up new solutions to long-running challenges or the third party voice that is needed to prompt change. The 3PT lens of game day assessment has been crafted from years of producing and first hand exposure to sporting events across the globe. We look to identify the low hanging fruit that can be adjusted to make an instant impact on your show. 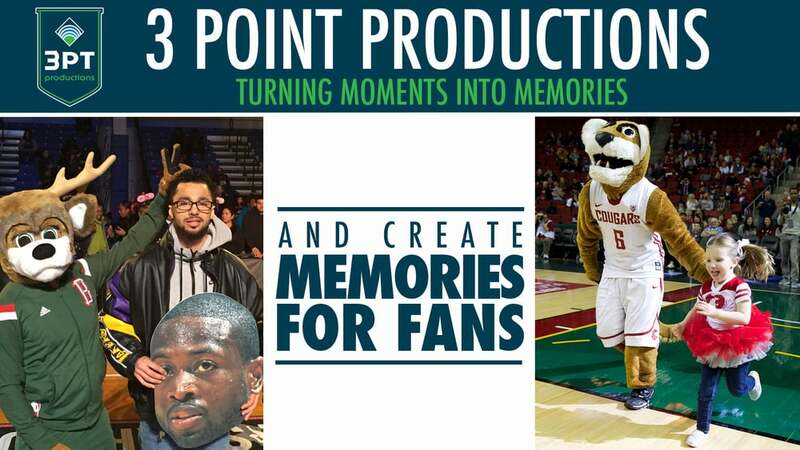 That can range from elements like audio transitions and integration of the pep band and canned music to the way stage managers, spirit team and the mascot work together to bring an on-court contest to life. 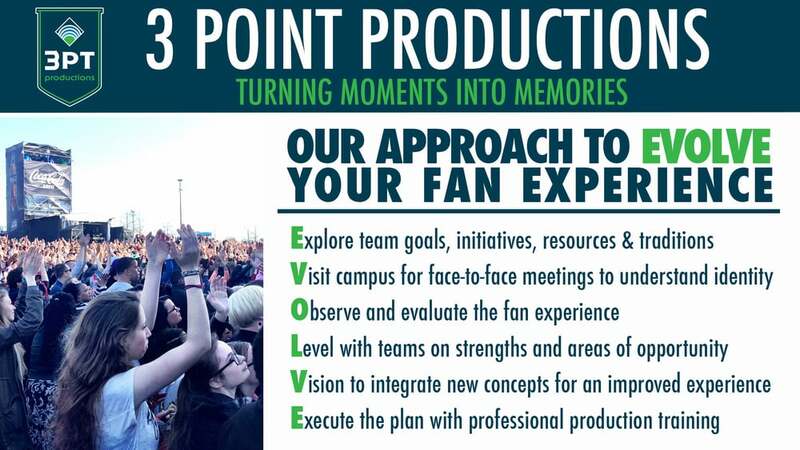 Stepping back, we use the lens to identify larger, strategic initiatives that will assist marketing departments as they build their future business plan for Game Day Experience. There are often a number of untapped revenue opportunities within the production that can be created or redesigned to drive sponsorship sales, group ticket initiatives or fundraising goals. At times, it simply requires an experienced set of eyes to assess the current situation and make recommendations to get the group headed in the right direction. If you’re responsible for building a Game Day Experience and the New Year has got you thinking of ways to improve the show in 2016, let’s team up and apply the 3PT lens to your home venue.